Country red and black bandana Top Hat with Feather and Crystal Details. 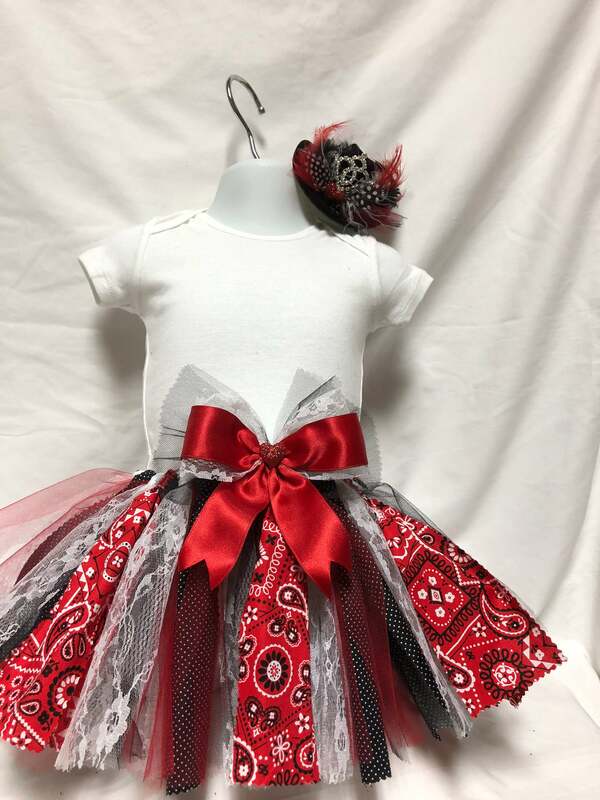 This outfit will make your little one the Ring Master or Mistress of their Circus Party. Everything can be made to match your specific Color scheme and theme! You can always contact us for something custom. The Coordinating pieces are available for purchase together, just go ahead and contact us for more information.